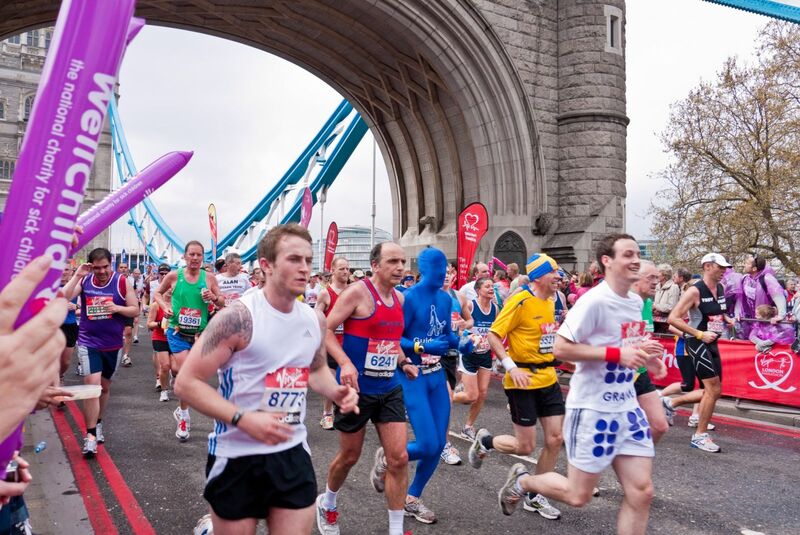 Over 300,000 people applied to take part in this year’s London Marathon, and of those 40,000 people will be running the 26 mile stretch across the capital. Around 58% of those competing, have never run a marathon before but will be valiantly pushing themselves to run for fun, charity or health reasons. Pain and sometimes swelling on their outer side of the knee. It can often become very painful and difficult to run, but the pain subsides as soon as you stop. Athletes who do repetitive forward motion exercises for extended periods of time, most commonly including long-distance runners, cyclists, and gym goers who perform repeated squats. Most patients will respond well to rest or change in activities. Physiotherapy assessment and treatment is also an option which can assist with recovery. If rest or physiotherapy do not help, an Orthopaedic referral and assessment is the next recommended course of action. Steroid or Platelet Rich Plasma (PRP) injections can offer pain relief. Surgery is usually the last resort when all the non-operative options are unsuccessful. You will experience a dull or sharp pain under the kneecap while running, kneeling and climbing stairs. Pain can also occur after sitting for long periods of time. Knee instability is also common, leading to the knee giving way or falling. Individuals involved in running and jumping sports, and the condition is found to be more common in females. Assessment of footwear and of the training equipment can aid in preventing patella tendinitis, in addition to maintaining a healthy body weight. Physiotherapy can help aid recovery as well as activity changes. The RICE regimen may be recommended to calm inflammation: rest, ice, compression and elevation. Steroid or Platelet Rich Plasma (PRP) injections can offer pain relief. Surgery is usually the last resort when all the non-operative options are unsuccessful. It is a fracture of the top part of the femur (hip bone). It occurs when there is repeated stress to the bone over time and can occur in high mileage runners and those training for a marathon. At the start of this condition, there is a small crack, which can lead ultimately to the fracture of the hip if left untreated. While it is a rare cause of hip pain, it should be ruled out to prevent further injury. Athletes who take up running and jumping sports, who repeatedly put pressure and stress on the hip. When stress to the bone is applied repetitively, it can cause an overuse injury like a hip stress fracture. In addition to runners, gymnasts, ballet dancers, and power walkers and marchers can also experience this injury. Orthopaedic referral and assessment are recommended if a hip fracture is suspected. Rest and protection from weight bearing, so repetitive activity will need to be stopped. Bed rest will be recommended in cases of severe pain, but surgery will only be recommended for cases with two complete hip fractures.